Not to downplay the importance of addressing the deficit, but consider this: If the federal pay freeze continues in 2013, the savings will amount to $4.6 billion -- less than 0.5 percent of the deficit in 2012. That figure is based on a $185 billion payroll for the three branches of government and the cost of pay increases that would be competitive with those in other sectors. Private employers, according to surveys, are budgeting 3 percent for pay increases next year. A comparable number for government would be 2.5 percent after subtracting step increases. At most, a continuation of the federal pay freeze would save $4.40 for every $1,000 of national debt. Federal salaries haven’t been completely frozen, but two years on ice with the possibility of another three, along with proposals to reduce employee benefits, is taking its toll on the workforce. The Office of Personnel Management’s most recent Federal Employee Viewpoint Survey confirmed a decline in morale. Waiting for a budget deal, the cuts that will follow and the unknown changes that will unfold in 2013 is exacerbating the problem. For those who are convinced federal pay and benefits are too high, the freeze is warranted. In the early months of the recession many employers froze pay or reduced budgets for salary increases, but those caps generally lasted no more than a year. Salary surveys show market pay levels increased during each year of the recession. Until recently, employers have treated their workforce as a budget line that needed to be controlled -- like office supplies. But that began to change two decades ago when phrases like “knowledge organizations” and “knowledge workers” were coined and used in discussions of companies like Microsoft and Google. Now workers and their contributions are valued and managed like investments or assets. The goal for knowledge workers, as with any asset, is to utilize their capabilities more fully. Research confirms employees can perform at significantly higher levels -- as much as 30 percent to 40 percent -- depending on the way their work is organized and managed. Management books and articles on strategies to raise performance levels are mushrooming. Everyone in a high-performance organization wins: the employer succeeds and employees love their jobs. But there is a downside to ill-conceived management actions. Employees react emotionally to the way they are treated and that affects their performance. Research by Gallup and others shows that employees who are most engaged perform at higher levels. They “work with passion and feel a profound connection to their employer,” Gallup reported on its website. “They feel involved in and enthusiastic about their work.” Employees who are actively disengaged are the troublemakers who are not only unhappy, but also undermine the plans and accomplishments of others. “Actively disengaged workers cost U.S. companies hundreds of billions each year,” Gallup reported. Its surveys show the percentage of employees who aren’t engaged tends to be higher in government than in other sectors. Statements and proposals that deny or denigrate the value of employees or undermine their career prospects further erode performance. For many federal jobs there are no metrics for productivity. But Gallup identifies generic measures relevant to all organizations, including number of grievances, quality of work, accidents and absenteeism. Each correlates to the failure to engage employees. Low morale has a cost. In other sectors, workers who are not engaged are most likely to look for a new job. The problem for many federal employees is their skills and experience are not valued in the private sector. There are also many older workers who cannot afford to walk away from government benefits. When they become disengaged, their dissatisfaction is expressed on the job and their work units suffer. For employees in high-demand occupations, there are alternatives in other sectors. Government cannot afford to lose the best performers in those fields. There are costs when high performers resign -- productivity suffers, supervisors and others spend extra time with replacements, customer satisfaction declines. Those costs are compounded every day until replacements are able to develop comparable capabilities. In some operations, particularly hospitals, the loss of skilled employees can have immediate costs. From a broader perspective, Gallup’s research, along with studies of high- performing organizations, has identified a number of management practices that would boost performance at federal agencies. It starts with trust and fairness. Decentralization and empowerment -- global trends across the public sector -- also are important. Performance management is key, as well as recognition and rewards. An audit of government’s people management practices would generate a list of issues that warrant attention. In the long run, a continuing pay freeze will damage government’s brand as an employer. One can only guess what employees are telling their children about federal careers. There are already reports of recruiting problems. Agencies will suffer if hiring well-qualified individuals becomes difficult. There is no function where the need for high-performing employees is more important than information technology. Rep. Darrell Issa, R-Calif., the House Oversight and Government Reform Committee chairman, has drafted legislation to reform government’s “antiquated ways” of managing technology. The draft bill supports building cadres of IT acquisition professionals. But the pay freeze along with restrictive personnel policies and regulations will be impediments to achieving Issa’s goal. 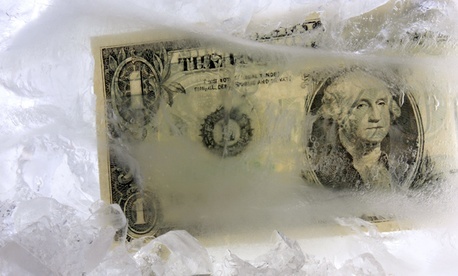 Calculated per employee, the freeze saves roughly $1,900 per employee. But if the total costs could be monetized, they would be far higher. Howard Risher, a pay and performance management consultant, managed studies leading to the 1990 Federal Employees Pay Comparability Act. He is the author of Planning Wage and Salary Programs (WorldatWork Press, 2009) and other books.